For those of you who didn’t know, I have been testing and running the Alternative Performance Engineering (APE) X85 Flex Fuel Kit for the ‘Straight Six’ platforms for about 5 months now. Most of you haven’t heard of APE before because they are a brand new flex fuel company to the market that started up early last year. I went with the APE kit because it is a new product in the market and was curious how it compares to other kits. What really caught my attention was that they are able to offer more customization and features on their app in addition to displaying current ethanol content. The last article we published on E85 was to explain properties of ethanol and debunk any false information about running it. 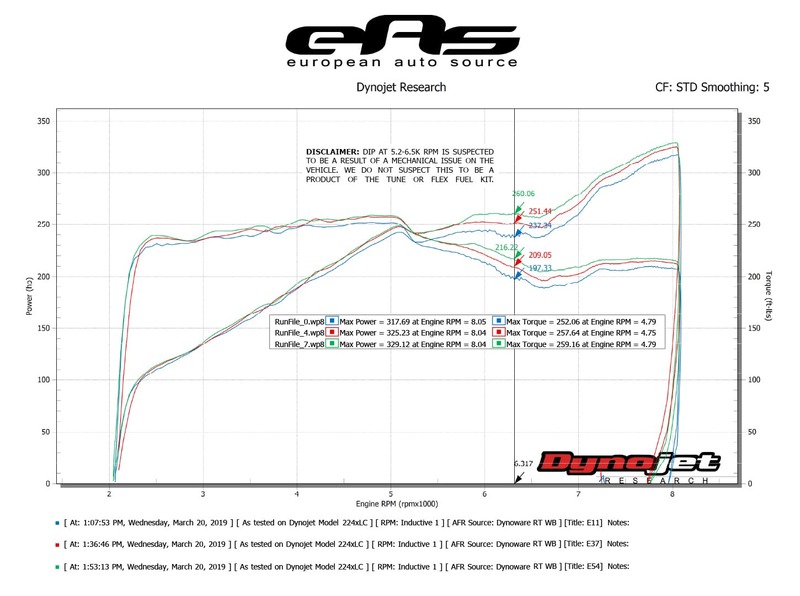 What we have moved on to now is finding the optimal ethanol blend for our E46 M3 S54. There is a common misconception that “more E85 means more power”, but this is only true up to a certain extent. Too much ethanol will actually cause you to lean out and lose power instead – the APE kit helps in trying to find that perfect blend. There’s not much difference that can be made between flex fuel modules honestly, but the primary attribute that APE has over other kits is that their app has much more features and capabilities than anything else on the market. However, before I do a deep dive into those functions, let’s first talk about the kit itself. Then we can talk about some exciting pricing. When you go on the APE site right now, you will see that they have several kits but not labeled by model. Currently, they are categorized by the fuel injector styles and motor platforms. For the E46 M3, we go with the EV1 style fuel injectors for the Straight 6 platform. However, I have been advised that a specific kit for the E46 M3 will be developed in the very near future. As I mentioned, APE’s flex fuel kits are not currently designed specifically by model, but by engine platform. 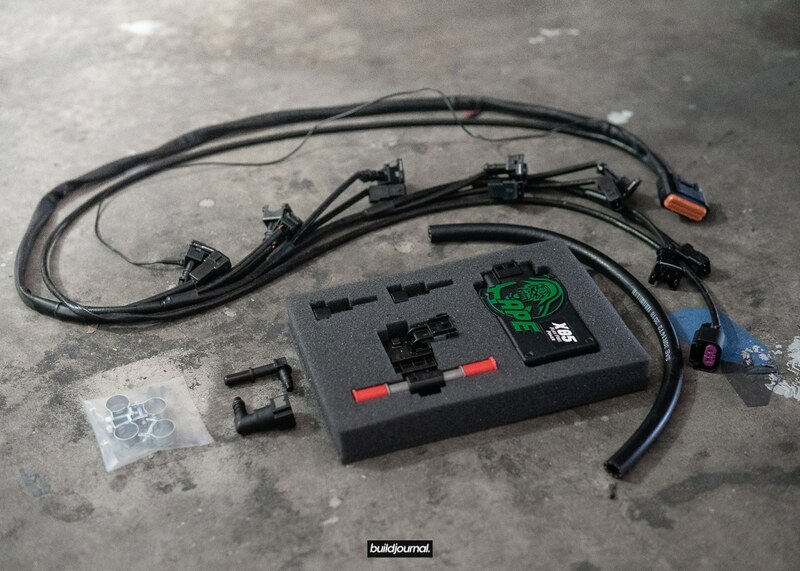 For now, the generic straight six kit for our engines will require you to adjust your kit components as needed, including cutting your own amount of fuel line that fits for your car and using the correct fuel sensor connector. 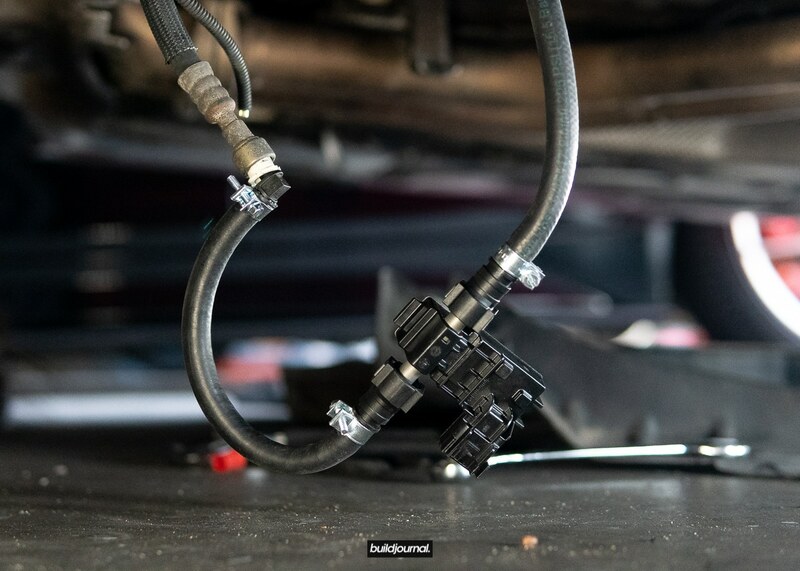 Installation is standard and the same as any other kit: find the fuel filter, attach the sensor, and connect the harnesses in the bay. However, you still need to make sure that the sensor is very secure area. If there is too much movement, you will get inaccurate readings. 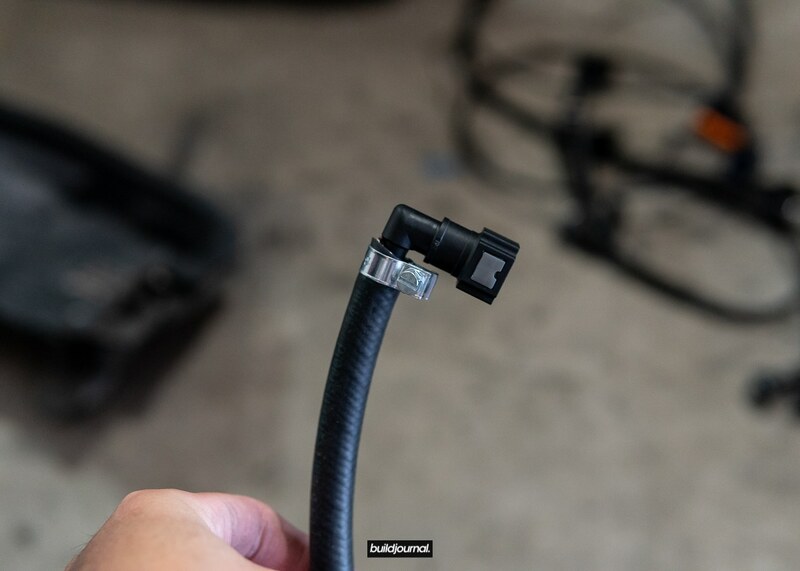 You may need to work some magic with zip ties like I did to make it secure – there’s not really a proper place or way to secure the sensor under our cars. I created several loops and rings to secure the sensor to. 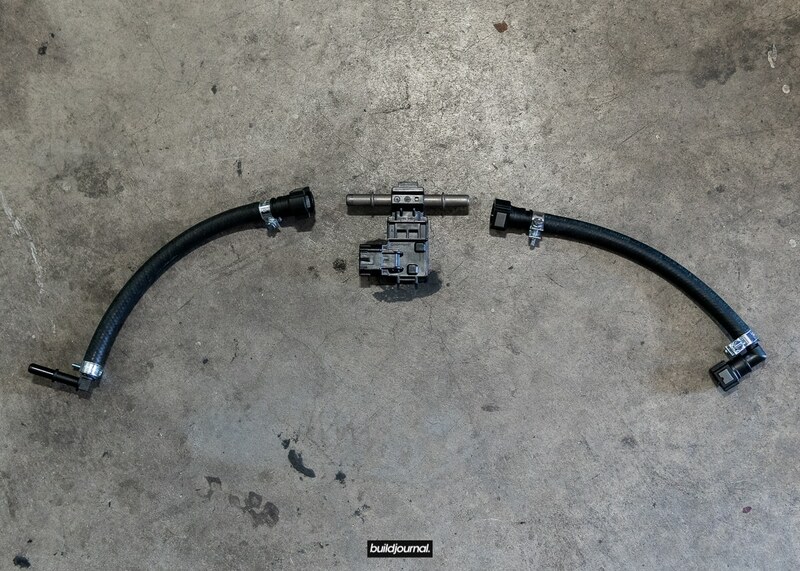 This is how I set up my sensor and fuel lines, but once they finish up with the model-specific kit, it will be 100% plug and play with no trimming required. Each X85 module will have its own individual passkey on the back – be sure to take a picture of this or write it down somewhere because you will need it to connect with the app later on. The APE app is available for both iOS and Android (beta). Once you successfully connect to the app using the passkey on the back of the X85 module, then you can start playing around with some of the cool features the X85 has to offer. What makes APE significantly different from its competition is their app and features. As I mentioned before, the goal is to find the optimal blend of ethanol and gasoline that would yield the highest power output. 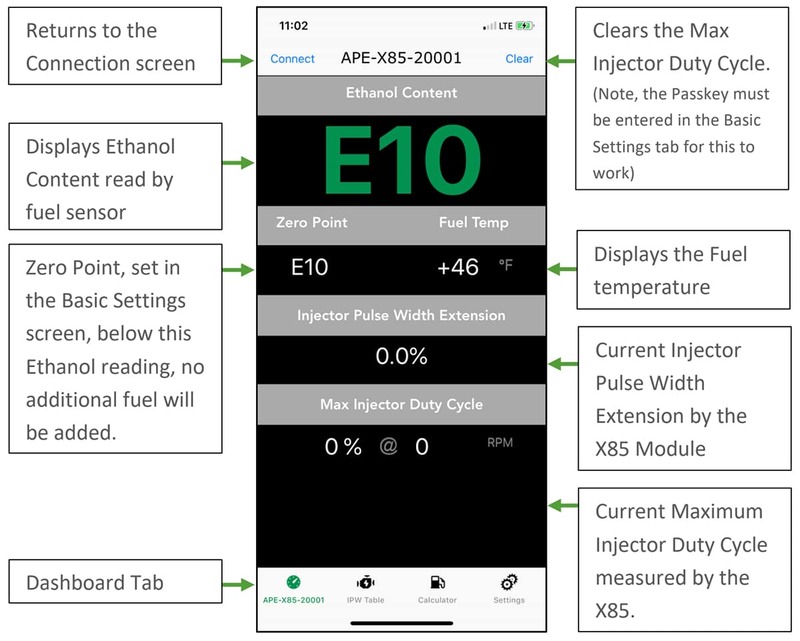 The X85 measures the max injector duty cycle (IDC) and the app can use this data to determine a maximum recommended value (ethanol to gas blend), all you need to do is pull redline once your car is warmed up and the module will receive measure data from the car to provide a recommended blend. For my car, my optimal blend looks to be around E70. Note that recommended blends may vary by car due to current injector health and then how lean or rich your DME tune is at WOT. Once you get your recommended blend from the app, you can use the fuel calculator to determine how much of each fuel type you need to achieve that blend. Remember that the E46 M3 fuel tank is 16.6 gallons or 63 liters. Fuel with high ethanol content has a harder time starting than gasoline – it is common and completely normal that sometimes you have to crank the car a few times in order to get it to turn over. Especially in cold environments, running a lower ethanol mixture would help in a easier start. The X85 can be configured to add fuel enrichment in cold starting scenarios to assist with that cold start-up. What’s especially exciting about this app is that you can do some on-the-spot tuning/adjustments. The X85 module and app gives you the ability to tune the fuel delivery over 4 configurable RPM ranges. Simply put, you can basically add more fuel in RPM ranges where you are running lean in order to optimize power. On an Air Fuel Ratio (AFR) graph that you usually see when dynoing your car, higher numbers mean that your car is running lean – not enough fuel is being supplied to the engine and will limit you from making power. This is a game-changer because this is method of fine-tuning your car. However, be aware that making uneducated adjustments could potentially cause you to run too lean or rich – only use this function if you know what you’re doing and have data from a dyno to support your adjustments. The APE X85 module also has a zero point setting – the purpose for this feature is so that the module will properly turn off if it detects that there is no higher ethanol content that what is in pump gas, which is approximately E10. The app allows you to adjust the zero point as needed depending on the ethanol content in your neighborhood gas station. 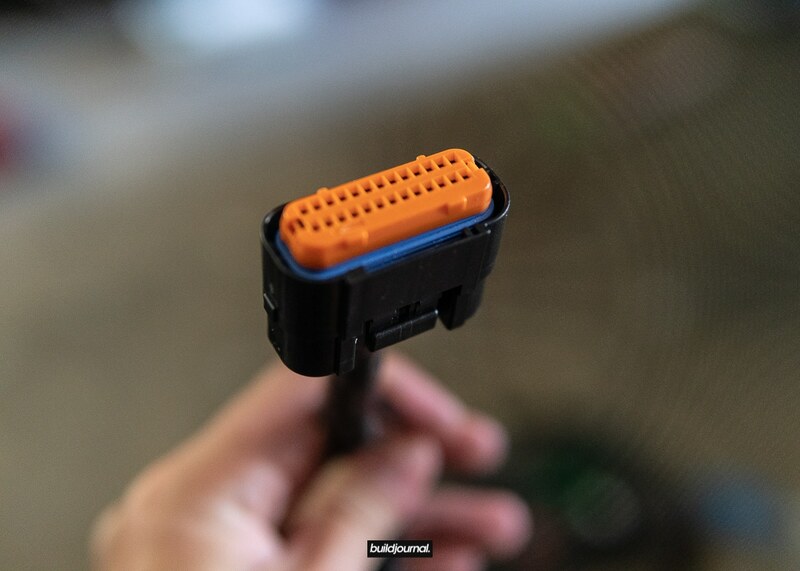 The X85 module’s job is to command the ECU to feed the car more fuel when it detects a higher blend of ethanol, as ethanol burns quicker than gasoline. If the X85 is working correctly then you would see little to no change in fuel trims or AFR readings when switching between pump gas and ethanol. When your car is operating on fully pump gas, there is no need to provide extra fuel as it is unnecessary and would cause an improper air to fuel ratio. 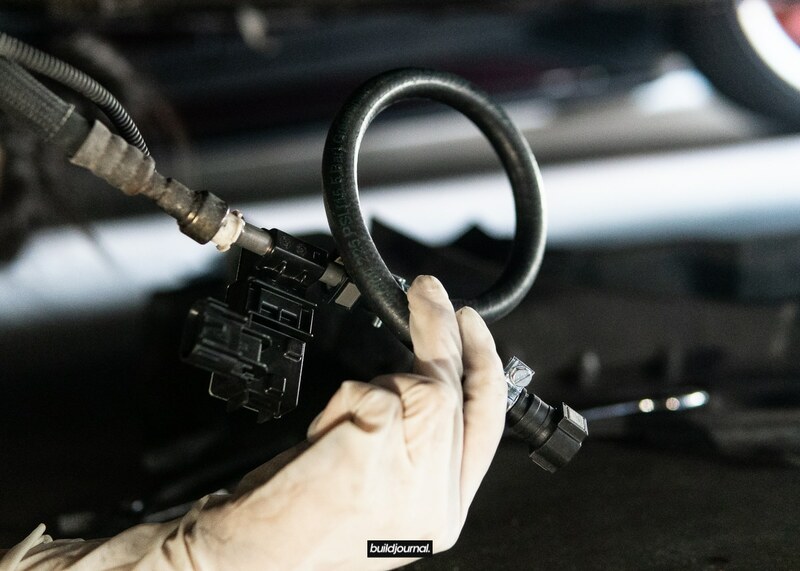 The default setting of the X85 and other similar products is to extend the fuel injector pulse by adding a second short pulse after the factory ECU has finished asserting it’s fuel injector pulse. 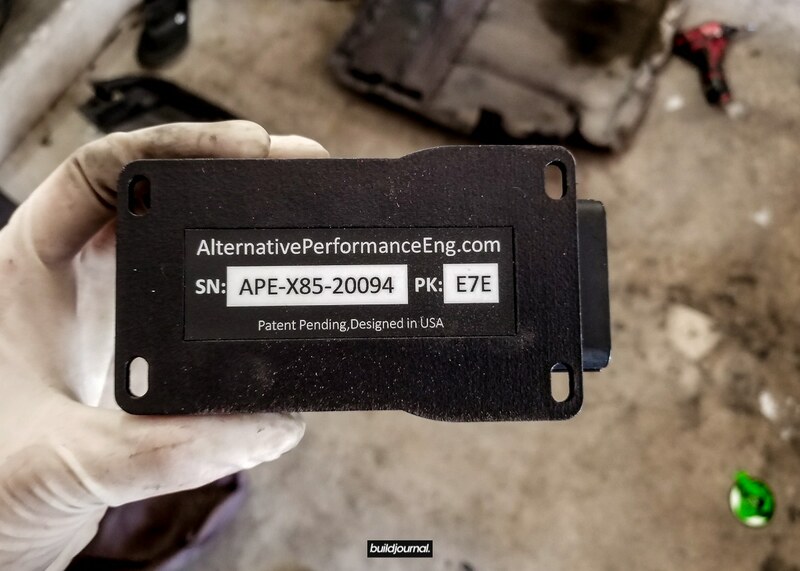 With APE’s patent pending feature, True Pulse Width Extension, you can extend the factory ECU pulse – providing a more precise pulse and reduces the current drain on fuel injector drivers. In other terms, True PWE reduces the number of times your injectors need to open and close, ultimately prolonging the life of your injectors. 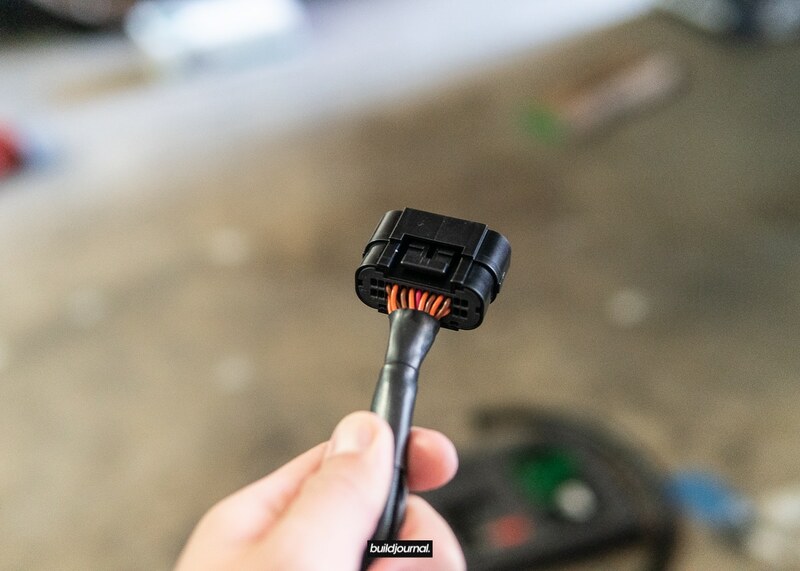 In the event that your sensor becomes faulty or damaged, the X85 will remember the last good reading so that you can still run the car properly. you can also use the sensor override function to reset your ethanol content back to the zero point, which will completely turn off the X85 module. Now down to the part everyone cares about: drivability and performance gains. I mentioned earlier, but there’s really not much variance that can be made between different flex fuel modules – it either works or it doesn’t. 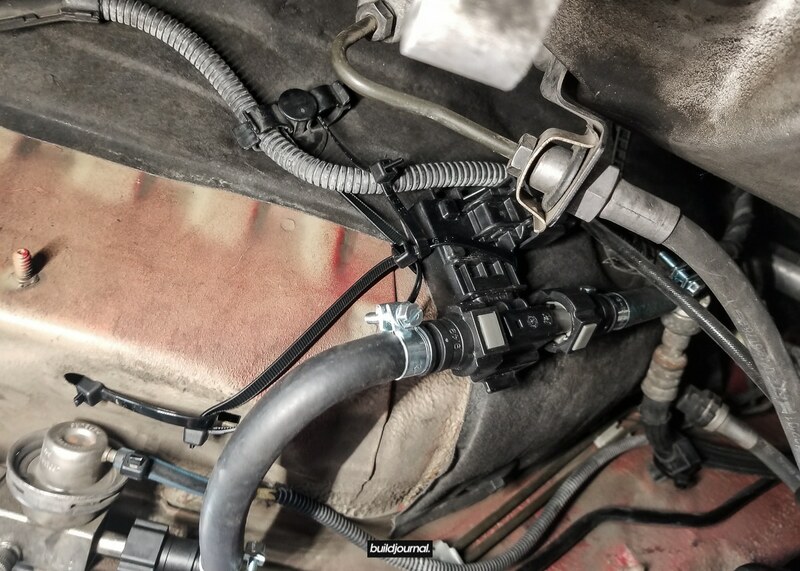 The purpose of the flex fuel modules are to translate the ethanol content into values that the ECU can accommodate and adjust for – as long as the correct values are read by the sensor, the kit should work. I’ve driven on this kit for probably 5,000 miles already and did 4 track days on it with no kit related issues. I often run full tanks of ethanol during my daily drives for cost effectiveness, and blends for track days and power purposes (the fuel calculator APE offers is especially convenient when filling up fuel jugs). I could definitely feel some additional power at the track when pushing the car to redline, but it wasn’t official until I put the car on the dyno. As always, we went to European Auto Source for our testing to keep our data consistent. DISCLAIMER: When you analyze the below dyno graph, you will notice that there is a very odd dip in power between 5.2K-6.5K RPMs. There is a mechanical issue on my car that is causing it to pull timing in that range, preventing it from hitting its target. We are suspecting it may be my ignition coils as one of them went out 1 week before this dyno session. Given that I haven't changed them in over 30K miles or potentially more since I got the car, we anticipate that the other 5 may be on their way out. We do not suspect this to be a product of the tune or flex fuel kit. Once I get that sorted out, I will post an updated dyno graph. As we always emphasize – the numbers we want to focus on are the net changes or deltas, the gap between curves, rather than peak-to-peak power. While there seems to be a mechanical issue with my car, the gaps between the curves are consistent regardless of curve shape. To be honest, I didn’t want to share the graph shape before I confirmed that the ignition coils is the actual issue, but I want to be as transparent as possible in showing that the kit does its job where its supposed to, despite my curve shape. I did play with some of the Advanced Tuning features to adjust the amount of fuel I was running lean in. My AFRs peaked around 5K RPMs, I added more fuel to make up for it. I increased the fuel multiplier to 110% in my highest run to adjust for a slightly leaner range. I didn’t have enough time or the runs to really test this feature more, but will be utilizing it more during my next session and update this article as needed. Unfortunately, I also did not have enough fuel to create the optimal E70 blend that was recommended by the APE app, but I am more than satisfied with my results. I achieved a net delta of 23whp and 19wtq and a peak-to-peak gain of nearly 12whp and 7wtq, which is pretty on-par with Oscar’s results with his kit. In fact, I actually have more room to grow considering I was only at an E54 blend. Over the last few months, I can definitely say I’ve been pleasantly surprised by the additional power from E85 I’ve felt for both street and track driving. I have driven Andrew and Oscar’s cars before with a different flex fuel kit but because they are both catless, the feeling is not the same and I don’t know where to attribute the power to. On my car, I have 3 variables that give me power, so it is easy to determine where this power came from. 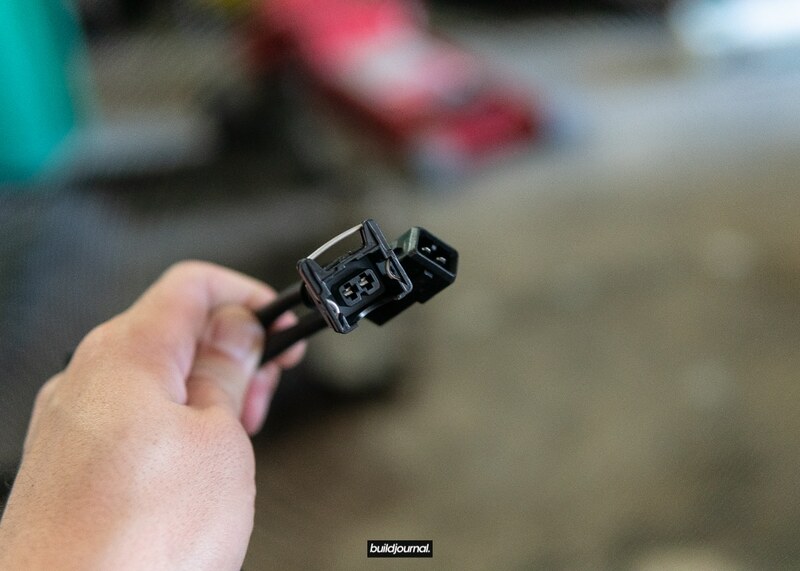 As you guys may know, the Buildjournal Team heavily advocates for the usage of E85 – whether you track or not. It is incredibly convenient in the sense that you can run ethanol, pump gas, and whatever mix in-between you want at any time, hence the name “flex”. If you don’t care about power some days and just want to get to point A to point B at a lower cost, you can run ethanol for daily driving. If you have a track day coming up and want every ounce of HP your car can produce, bring some ethanol with you at the track and add-as-needed. The APE X85 Kit offers all the usual benefits of ethanol, PLUS tuning and customization features for the lowest cost in the market. 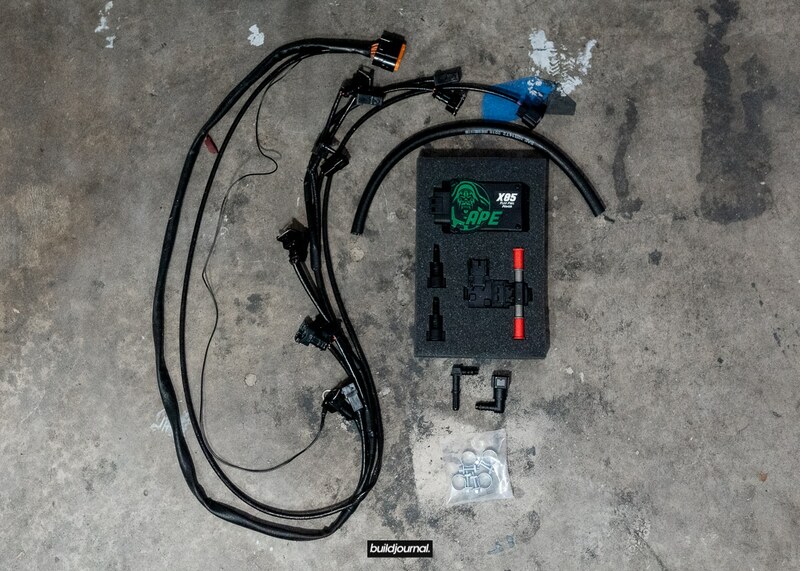 If you are considering running E85 for any reason, this kit definitely needs to be on your radar. APE is a small, but definitely growing competitor in the flex fuel kit market. I have been in constant communication with the APE team to ask questions and provide as much feedback as possible to the point where I’m surprised they haven’t blocked me. They are incredibly responsive to questions and are genuine, experienced enthusiasts looking to offer another solution. Considering that they are new to the market, they are still in progress of scaling up and further developing their products. However, the product they’ve got now is pretty great – I can’t wait to see the new and improved versions later in the future with their model-specific E46 M3 kit. 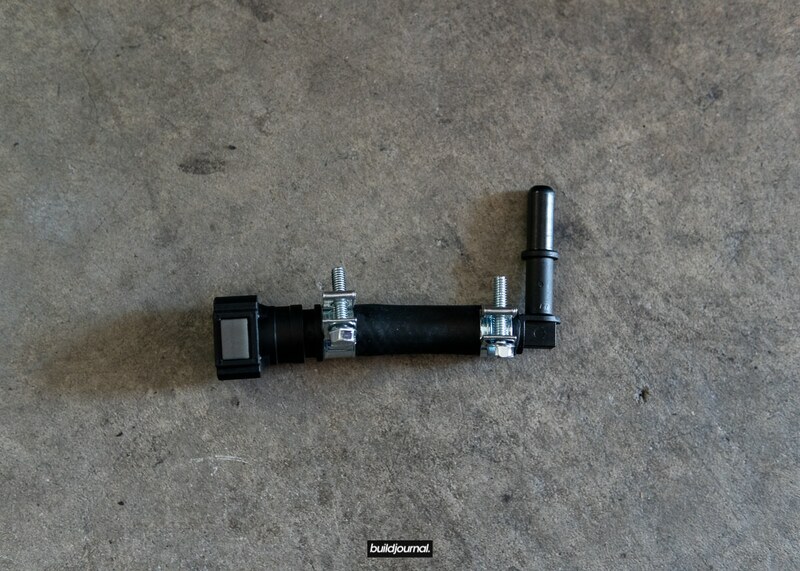 I am very happy to say that we have another reliable and affordable alternative fuel system option for the E46 M3 market. 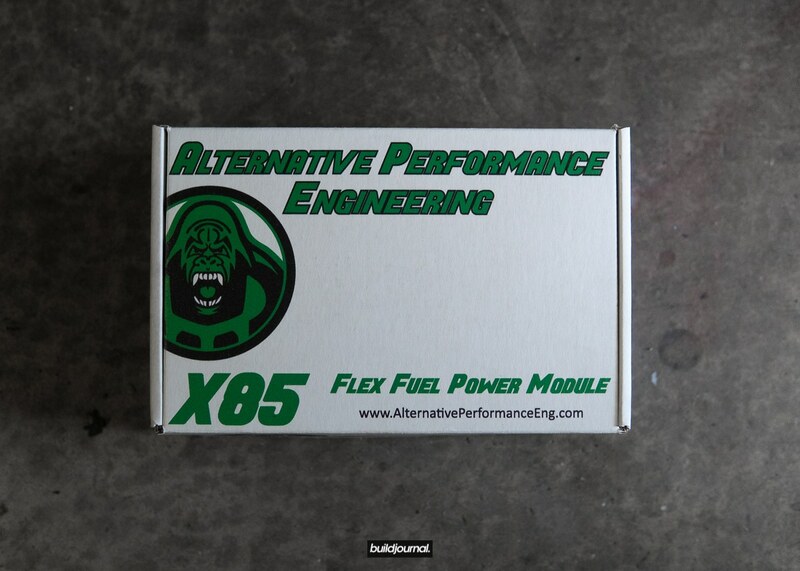 For a limited time, APE is offering group buy pricing for the X85 Flex Fuel Kit at a maximum discount of $149 if the group buy minimum of 5 orders are met. This means that you can get potentially 20whp+ for only $600, which is less $/hp than (most) headers. Trust me when I tell you this: you might not ever see a flex fuel kit going for this low ever again. And no, this is not one of those situations where “you get what you pay for.” You definitely get more than what you pay for.